WHY TO USE BLOCK METERS? 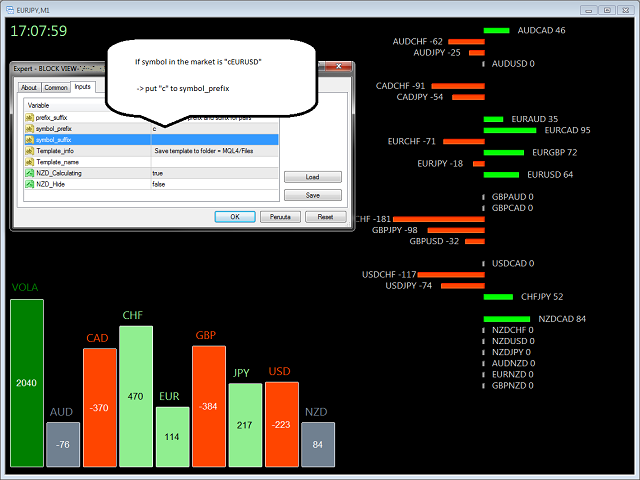 With Block Meters you can easily follow trading market situation, market activity and market noise, all in one visualized tool. You don’t need any charts. Block Meters helps you to detect strong and weak signals in market situation. 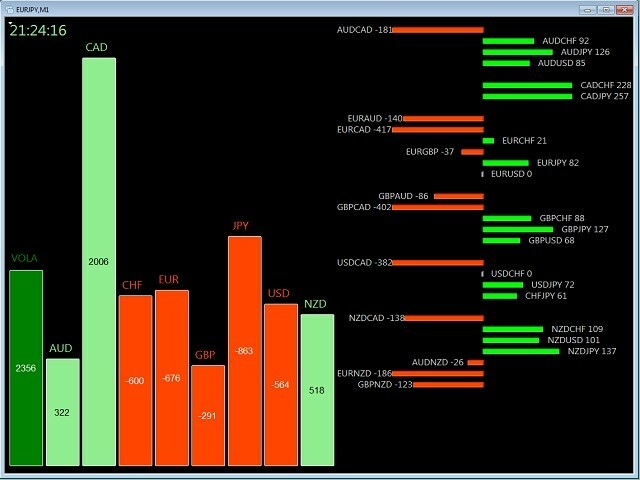 You can easily follow each currency and currency pair, and see all market forces and changes real-time. HOW TO USE BLOCK METERS? 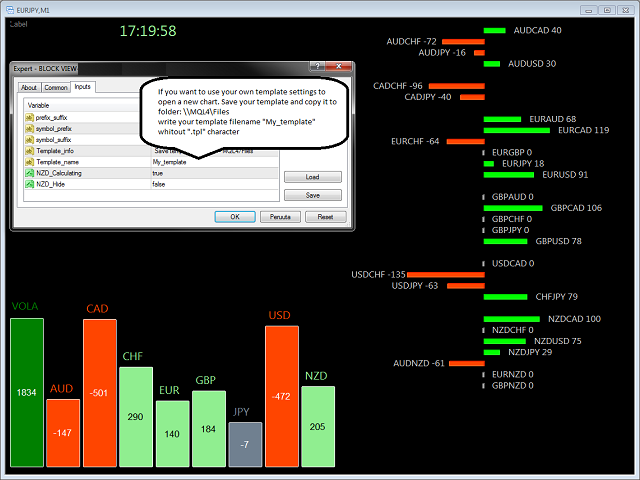 It is easy to open new chart by one click in Block Meters window. Just choose the right currency name and click to open it. Block Meters is an INDICATOR. 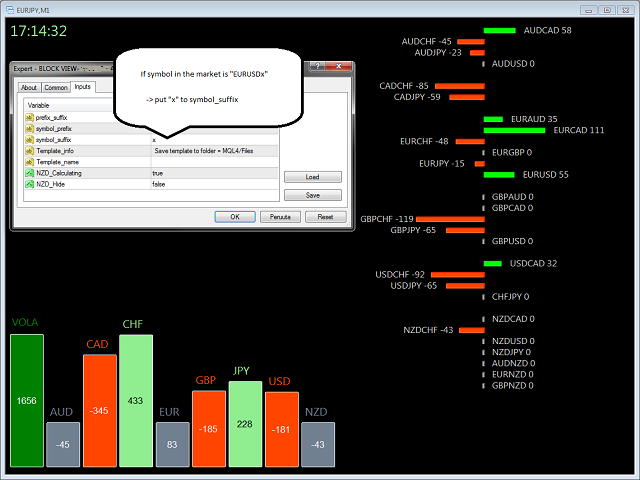 However, calculation logic included, works only in EA-program (Expert Advisor).